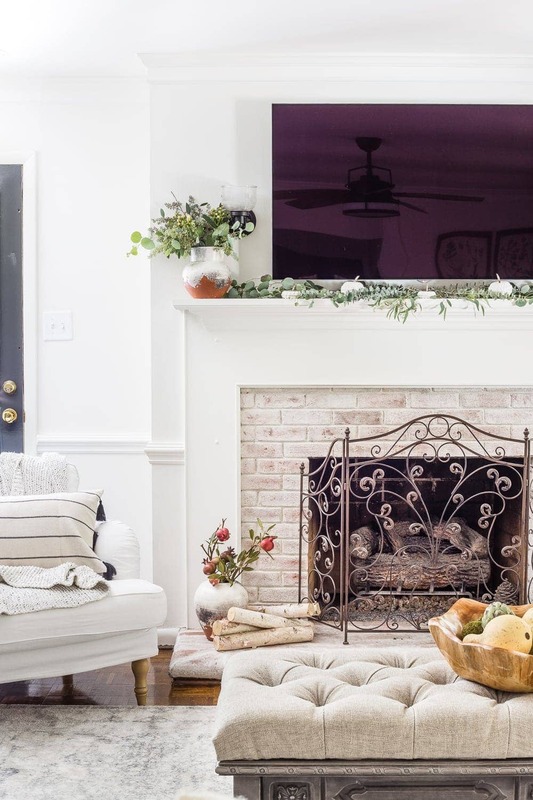 Money-saving decorating tips for adding coziness and texture to a space for fall decor without having to shop for it. I officially want to roll myself into a cable knit blanket burrito style and go all homebody status for the next few weeks. Little snippets of fall have been creeping into our house lately. But this year, as I’ve been decorating our living room for the season, I haven’t been as much into the “in your face” fall decor. And it’s made me realize how to stretch my decor into other seasons to get the most bang for my buck. 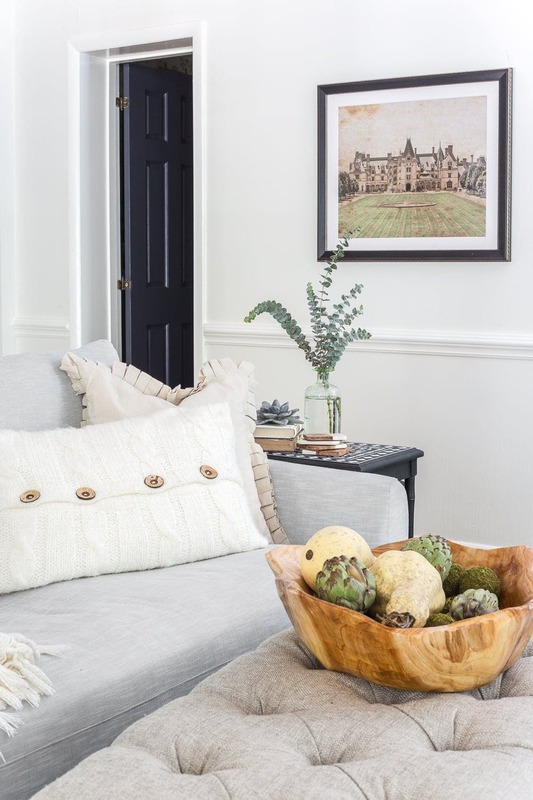 I always share my learning moments with y’all anyway, so if you’ve been looking for ways to decorate for fall without spending tons of moolah on pumpkin-y things, here are some of my best tips. 1. Use items without fall-specific images or wording. I steer clear of any pillow or piece of wall decor or accent that has pumpkin, turkey, or autumn leaf anything on it. It boxes you in so that you can only use it for 3 months and then you have to have the space to store it. I do the same thing for Christmas decor. 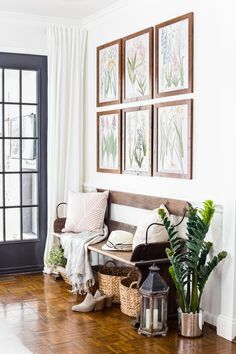 It’s way more fun to have the flexibility of pieces that you can use any time you want to change up the look of your home in whatever season. I like to incorporate a couple of small pumpkins just for a hint of fall and then that’s about it. Less is more. 2. 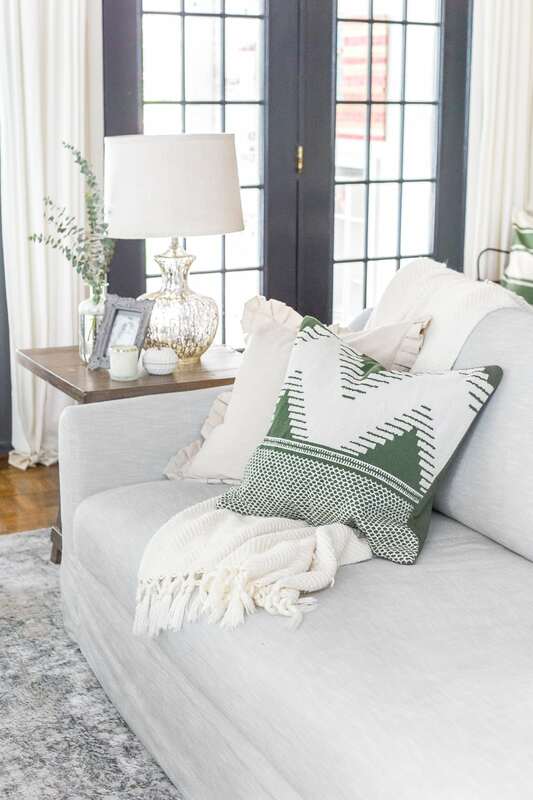 Use greens, blues, and neutrals in your color palette. I love using blue and green for summer anyway, so stretching it into fall feels totally natural. 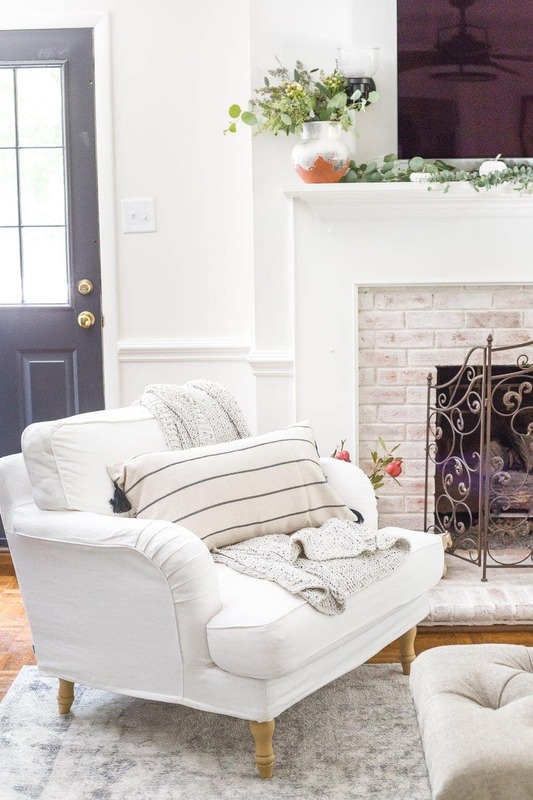 Orange and gold and burgundy and plum are gorgeous and all, but they don’t transition well into other seasons, if you want the simple, easy decorating route. Throw in a white gourd or two and you’re done. 3. 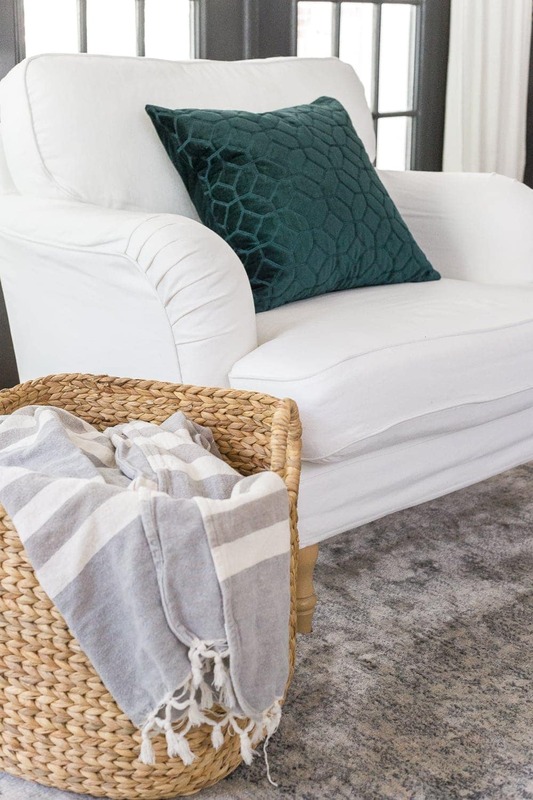 Use baskets for adding texture and practical storage. 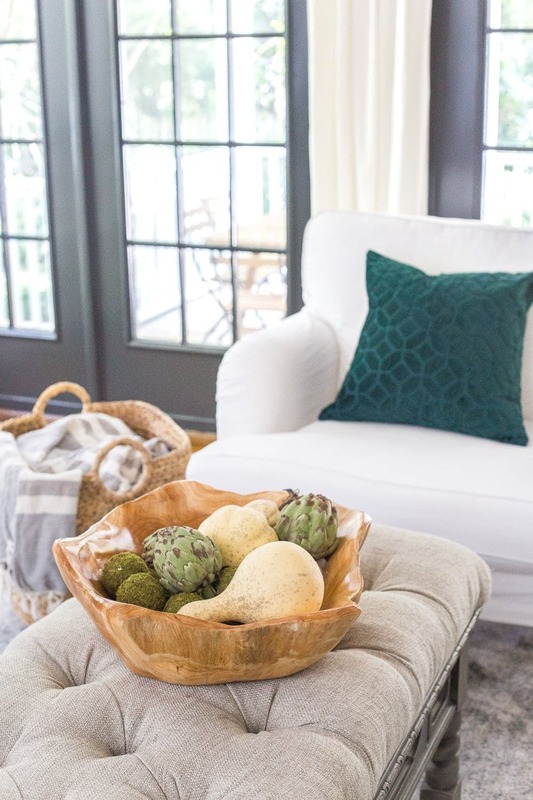 They’re useful for holding all of the cozy throw blankets during the chilly weather months, but natural weave baskets also give a nod to fall without actually being fall-specific. 4. A simple throw blanket can add instant coziness. 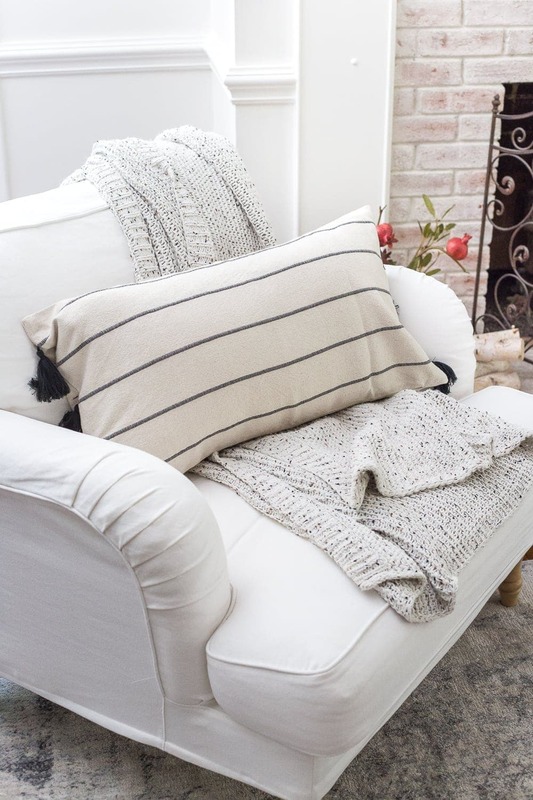 I love a good soft neutral knit blanket because it works with any color palette and can stay hanging out on your couch all the way until spring (or even longer if you live in a colder climate). 5. 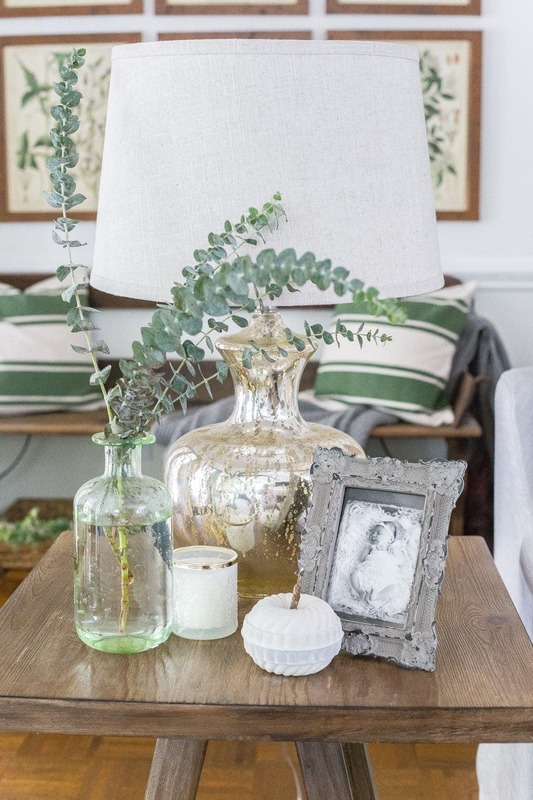 Use plain greenery to add life to a room. 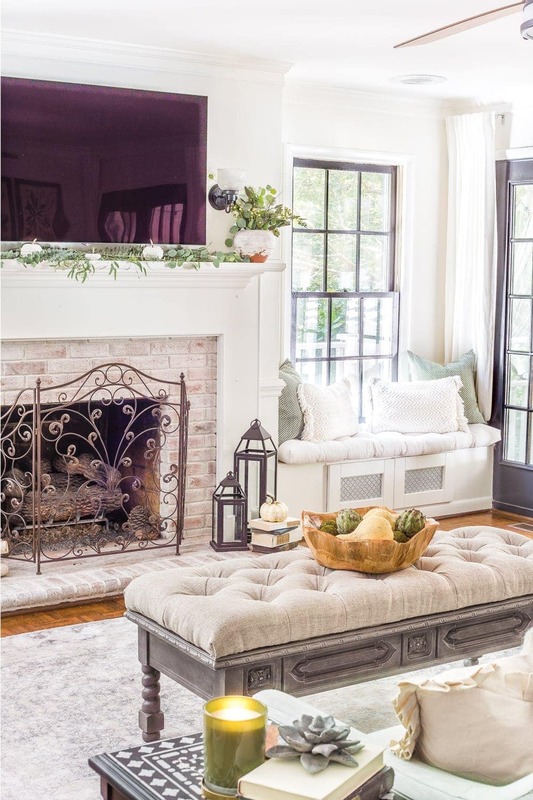 I’ve mentioned before that I big puffy heart love eucalyptus, but olive branches, boxwood, fiddle leaf fig, pittosporum, and magnolia are all great neutral greeneries that add a lively pop to a space. Or just snip some pretty branches from your own yard, if you have them. 6. Place cut logs on your hearth for natural texture. If you have a wood burning fireplace, this one’s just useful to begin with, but a little pile of logs communicates coziness in a space. And hey, they’re free if you’re chopping wood anyway! 7. Use a few candles or lanterns to add hygge style to your home. 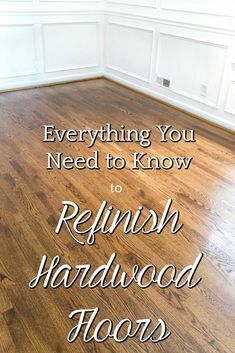 Might as well make your home warm and glowing as it gets dark sooner in the fall months anyway. 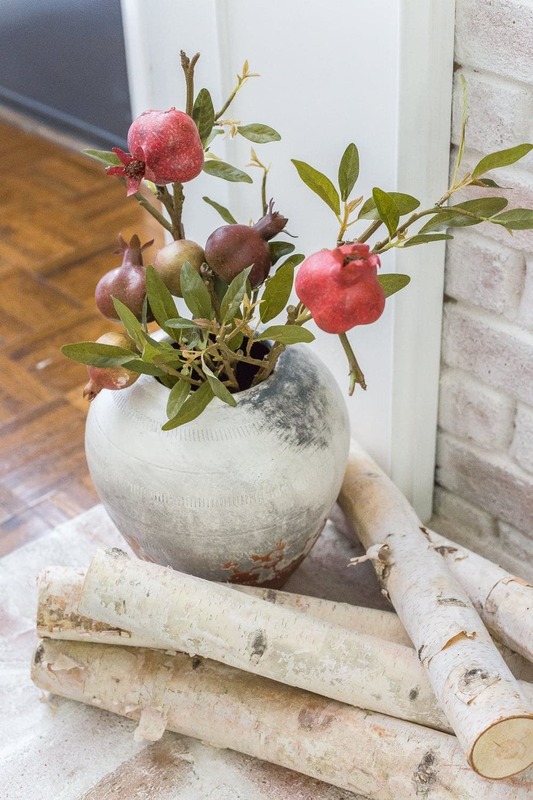 Raid that decor capsule wardrobe, add a little cable knit, put some branches from your yard in a vase, and call it done. I know I’ll be thanking myself for the simple decorating route later when we’re in the throws of caring for a newborn. Those little ones come with so much gear and chaos and stuff that simple everything else just seems like the way to go. Got any others to add to the list? I’m down to learn all of the decor stretching tricks over here. 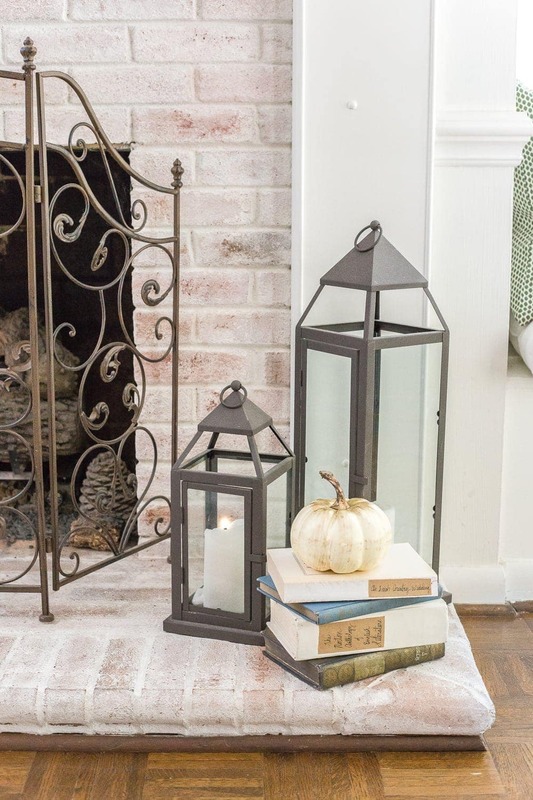 If you want more fall decorating ideas of seasons’ past, you can see them all here. Honestly, I never would of that to use greens blues and neutrals but I def am gonna try it now! That was my same thought. I was personally thinking dark colors, but I still do get that clean crisp fall feel throughout the space. Candle and wooden log are great ways to asd that cozy feel. Thanks for the tips. Are the pictures of the items in the photos suppose to link to where they can be purchased? I am not able to find where you purchased your items. So sorry, Donna! The pictures are links to be able to purchase. There is a trick that can be annoying. So, try to click on the outer ridge of the picture. The Pinterest link likes to sit directly in the center. Let me know if you continue to have trouble. Hey Donna! I’m actually glad you brought this up because I looked into the issue and was able to fix it so the pin-it button should be gone from the thumbnail photos now. 🙂 Let me know if you still have trouble! 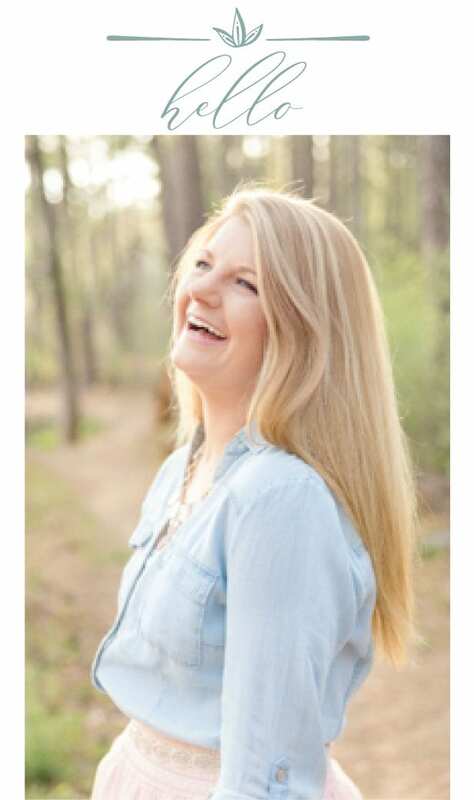 Lauren, I love all your tips! I am pretty sure you have given the instructions on making your padded coffee table. Can you send me a link to that post? Absolutely! Here’s the tutorial: https://www.blesserhouse.com/diy-ottoman-bench-from-a-repurposed-coffee-table/ There’s a search bar at the top of my website, or at the bottom of my homepage (blesserhouse.com) there’s a drop-down menu by category. 🙂 I hope that helps! 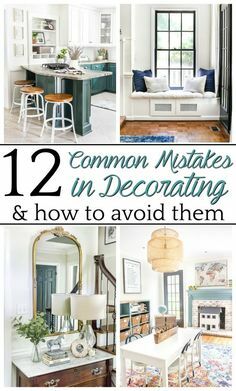 This post resonates so much with me as a mom of 7, the youngest is 8 weeks and I simply don’t have time money or practical space for anything but the simplest decor! Thanks for making simplicity so beautiful and inspiring! HUGS to you, Lea!! And, thank you for the kind support. 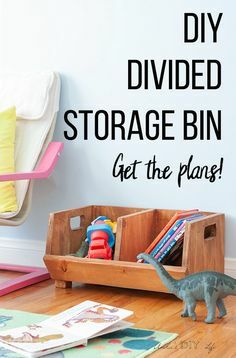 Absolutely love these great idea! Can you tell me where can I find the green and cream pillows in your sitting window? Thank you! Love ALL the pillows. Can you share where you got them? Hi, Meg. Absolutely!! Here are links to various pillows. Let me know if the one you like is not included. Let me know if there is anything I can help you find. 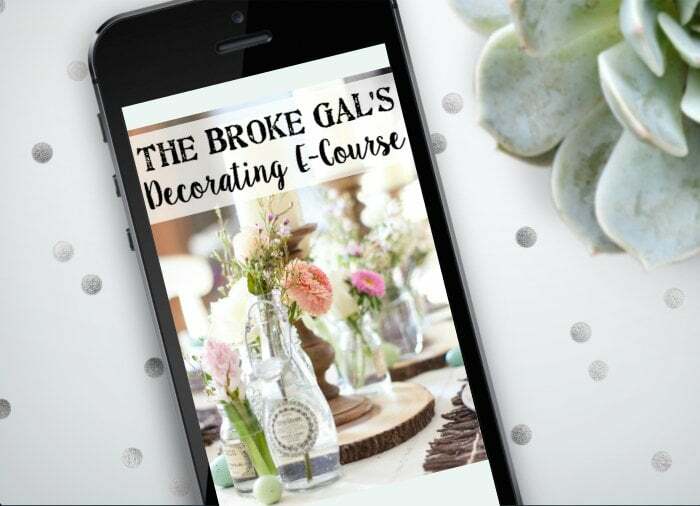 Where do you store all of your seasonal decor when you’re not using it? Do you have a link for that ceiling fan?! I’m obsessed! I love all of these tips, especially because you aren’t promoting that we go out and buy all new stuff. Hey there! 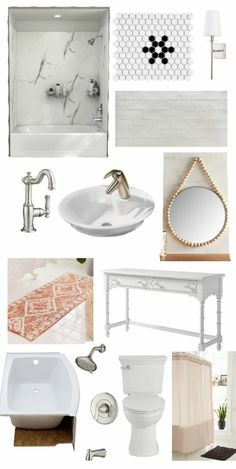 I’d really love to buy some of the things you have shown here, but sadly the links are going straight to pinterest and aren’t showing the sources. 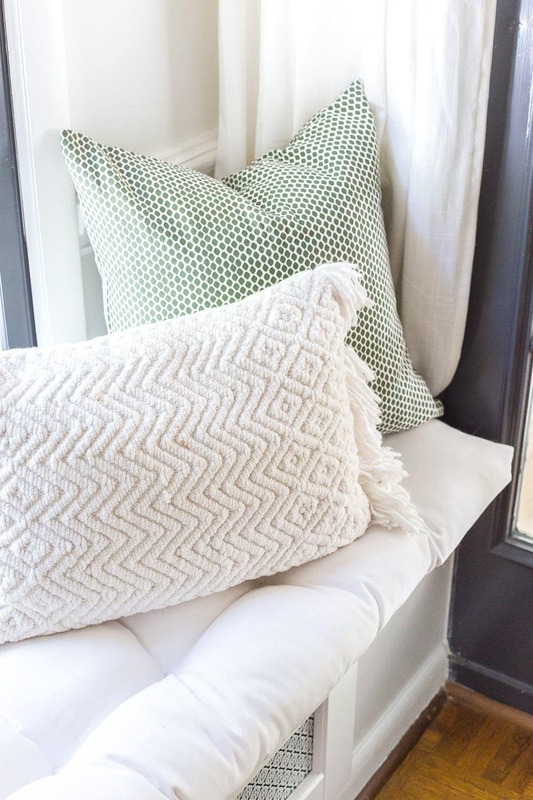 I’d love info on the pillows and such! Thank you! I have been trying to find a post you did several months ago. 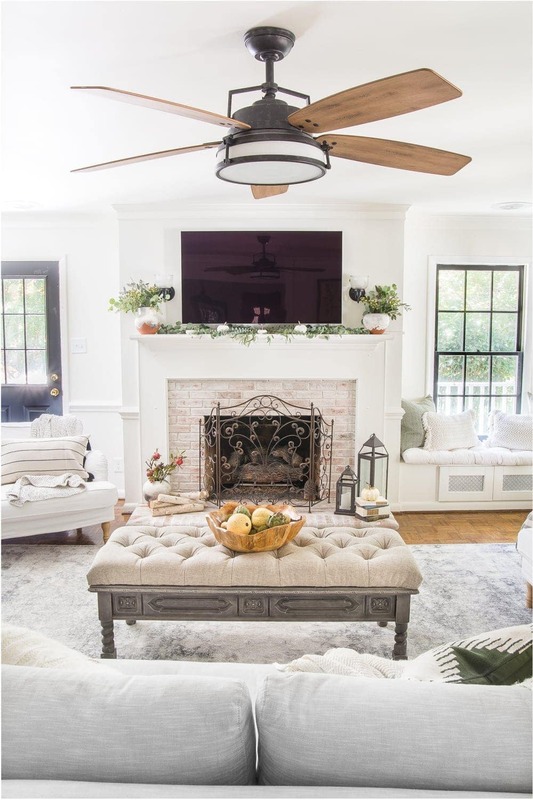 I believe it was a home tour and in one of the pictures there was a fleece throw, that you later shared or linked a tutorial for making a fleece throw with fringe. The throw wasn’t the bulky chunky fringe, but rather cut thin and I think braided? Does this sound familiar? I thought I had bookmarked it, but didn’t.